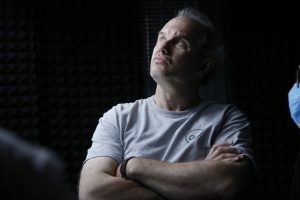 Christopher Chomyn, ASC balances his freelance cinematography career with his position on the faculty at the USC School of Cinematic Arts. Drawn to a career in film mostly by his love for foreign films, Chris finds himself frequently working on locations outside of the US. He has worked around the globe from China to Egypt, Mexico to Singapore, Sweden to Turkey; and yes, from time to time Chris can be found filming in the US. Chris is generous in sharing his passion for filmmaking with all who are interested. His interview for The Cinematography Podcast was a favorite among listeners. Likewise, his interview on James Wong Howe, ASC for Phoenix Television (Hong Kong) reveals as much about Chris’ passion for his subject as it does about the subject itself. While Chris awaits the release of his two most recent feature films Más Sabe el Diablo por Viejo and Three Body Problem, he continues to read scripts and plan for his next cinematographic adventure. In the meantime, he is eager to continue sharing his expertise as part of the American Film Showcase. Ask Chris where to point the camera and he’ll tell you to point it toward the story.